Yosemite Creek Daylighting is one of eight Early Implementation Projects that will be constructed in San Francisco’s urban watersheds as part of the San Francisco Public Utility Commission’s (SFPUC) Sewer System Improvement Program. 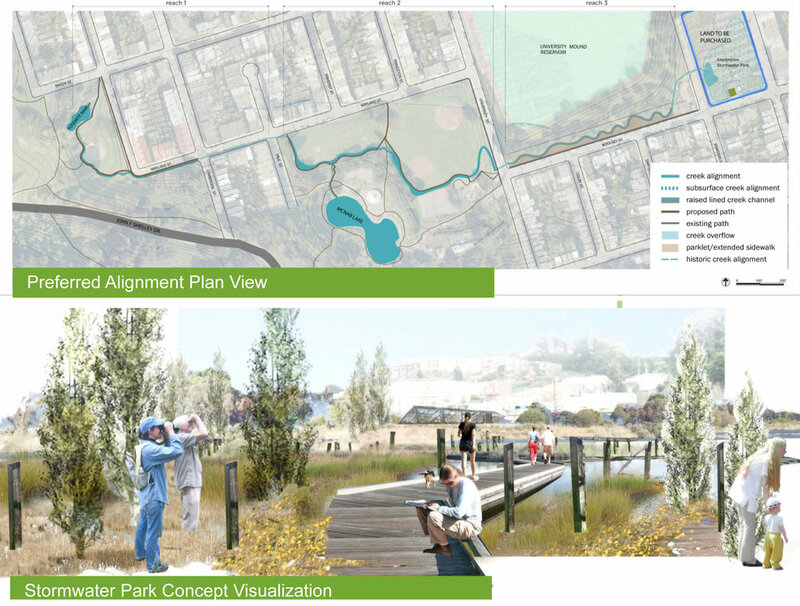 The project, currently in the design phase, is located in McLaren Park and along the southern side of SFPUC’s University Mound South Basin. It the first phase of a long-term plan to resurrect the complete length of historical Yosemite Creek connecting the original headwaters all the way to the Bay.